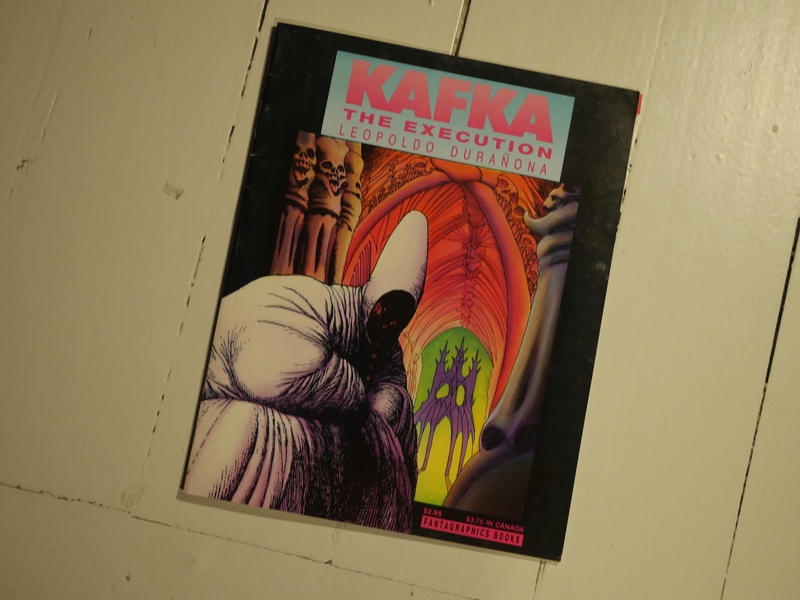 Kafka: The Execution by Leopoldo Durañona. Fantagraphics were publishing fellow South Americans Muñoz & Sampaya in a similar format to this (magazine size with cardboard covers) at the time (as well as anthologising Francisco Solano Lopez). I’m not familiar with Durañona’s work, but this is kinda interesting. 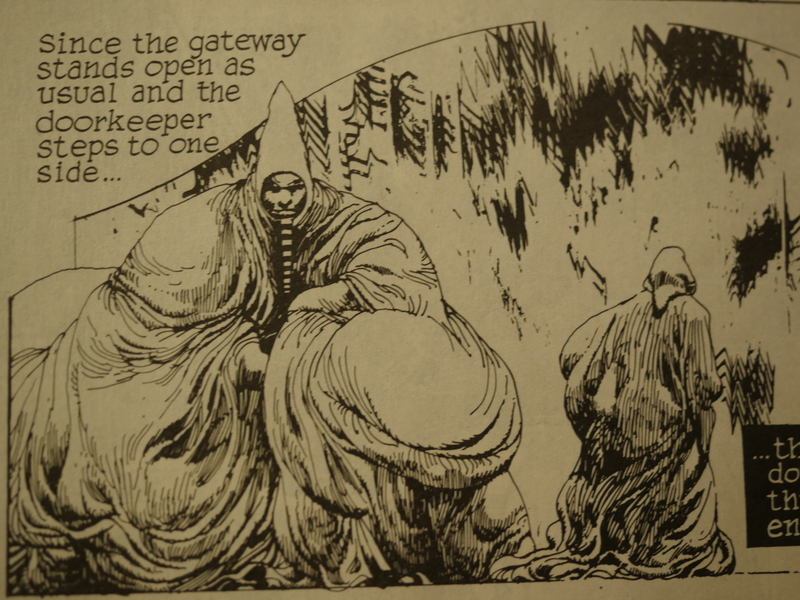 The artwork is a bit reminiscent of Moebius. These are, of course, adaptations of Kafka short stories, and they’re done inventively, but respectfully, I think. It’s been so long since I’ve read these short stories that I can’t really tell how faithful adaptations they are, but they work on their own just fine. 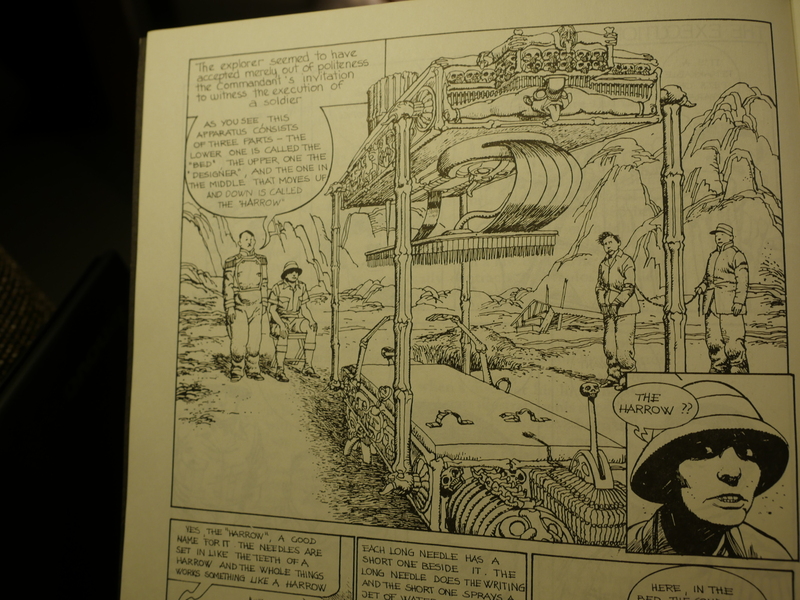 Durañona is perhaps most famous for his work in various Warren horror magazine, but is still working in comics today, most recently doing an Indiana Jones series for Dark Horse.